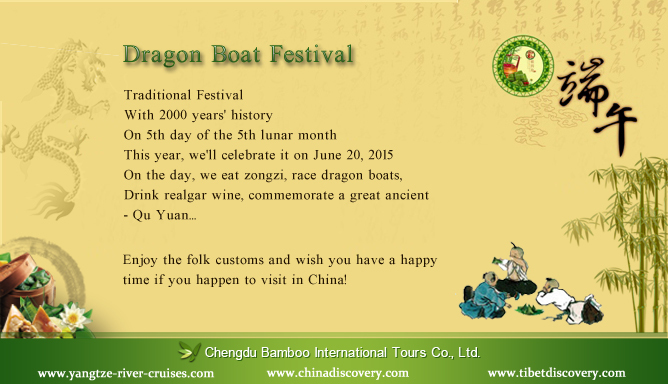 The traditional Chinese festival – Dragon Boat Festival is coming soon. In 2015, it falls on June 20, 2015. If you happen to visit China during the festival, you could explore the folk customs and wish you have a happy time. This entry was posted in deals&news and tagged Chinese Culture, Festival by daisy. Bookmark the permalink.